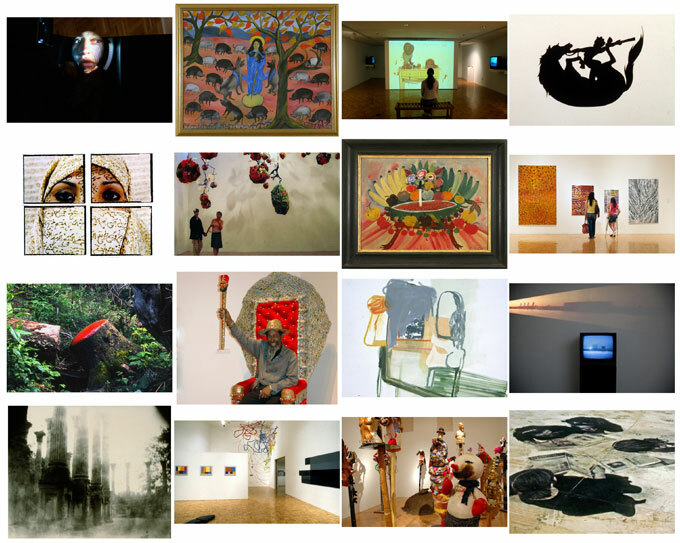 Did you know there are several renowned art galleries on campus featuring changing exhibitions and collections? Galleries are located in and around the Berrie Center, and admission is free. The Art Galleries are aligned with the School of Contemporary Arts and serve as a fertile resource for the College and area communities. In addition to faculty and senior thesis exhibitions, the Kresge and Pascal Galleries in the Berrie Center present a vibrant, international contemporary exhibition schedule. Ramapo College is also home to the largest concentration of Haitian art collections in any U.S. academic institution, which is continuously presented in the Selden Rodman Gallery of Popular Arts in B-Wing. The Potter Library Galleries showcase Senior Art Prize exhibitions and changing shows by regional artists. Tue, Thu, Fri: 1-5 p.m., Wed: 1-7 p.m.
Tuesday, 1-4:30 p.m., Wednesday 1-7 p.m. 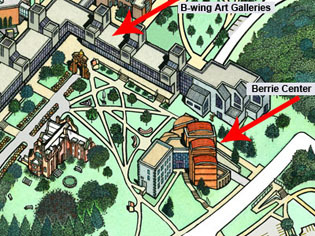 Directions are for all the campus art galleries and begin at the Berrie Center Box Office. When entering the Berrie Center from the main parking lot, the Box Office is on the left. The art galleries are on the next level (middle level). You can take the stars or the elevator.